Women across the country will celebrate the anniversary of the 2017 Women’s March on January 19, 2019. In Austin, there has been some confusion about whether there will be a local March. Several events have been posted on social media channels, some of which appear to conflict with each other. Hopefully this will clear up any confusion. The short answer is there is one event, taking place on January 19th at the Texas State Capitol in support of women’s fight for equality and equity. The Austin Women’s Rally 2019 is an extension of the Texas Reproductive Rights Rally that takes place annually on the anniversary of Roe v. Wade. This year the rally is from 2 p.m. to 5 p.m. and you can get more information at the Facebook event. Full event details are also posted below. There is no March associated with the event this year. Organizing a march in Austin has become increasingly challenging, and requires a lot of advanced notice and funding to accomplish. While some events listed on Facebook and other social media or event sites may identify themselves as a “Women’s March” on January 19 or 20, those are not affiliated with the Austin Women’s Rally or March On Texas. There are marches in other cities, including Houston, Dallas and San Antonio. We’d love for everyone interested in an Austin event that supports women’s issues, join us at the Texas State Capitol for the Austin Women’s Rally on January 19, 2019. 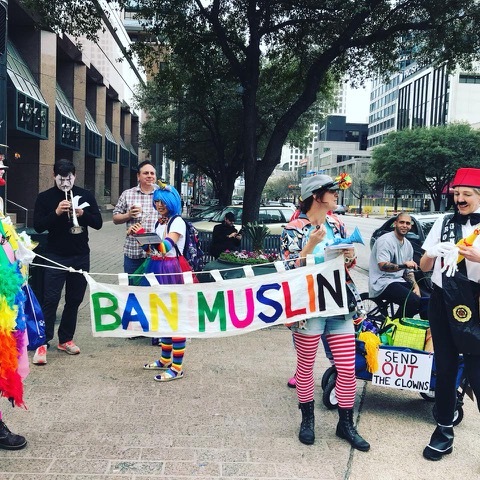 Participants in the second annual “March 4 Trump” in Austin were met with the scariest form of resistance: clowns. 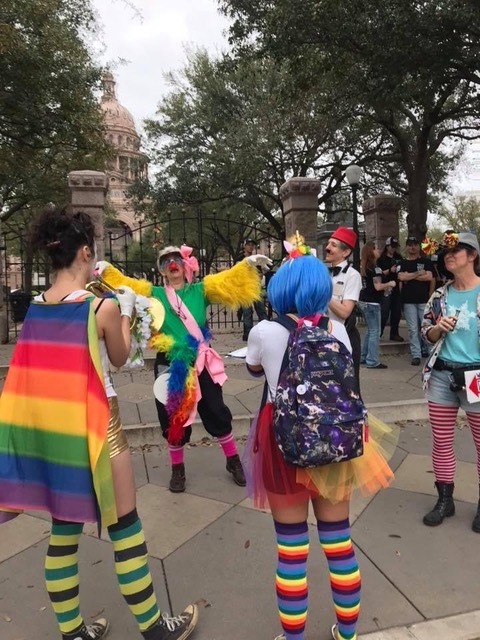 Calling themselves the LOLt-Right Marching Band, these clowns showed up with costumes and kazoos to confuse and roast the Trump supporters. Fun fact: these clowns were trained in nonviolent, de-escalation tactics to help people channel their energy in safe and affirming ways in the face of hatred. You can follow these clowns’ shenanigans on Twitter: @loltrightband. And support the Clown Resistance through their GoFundMe page. Posted in Let's Go!, VOICESTagged clowns3 Comments on Send Out the Clowns! Jon, Jon, Tommy, and Dan. You know their names. You know their voices. They are the hosts of the wildly popular Pod Save America podcast, and they have been critical in amplifying the voice and energy of the resistance, all while bringing some much-needed fun to the fight. Now, they’re coming to Austin for a live Pod Save America on March 9, 2018 at the Moody Theater. The event is sold out, but you and a friend can still go to the show. Enter your name and email to be included on our email action list and you will be included in the drawing to win two floor tickets to the show. If you are already on our email list, you’re already entered, but you can get more chances to win by getting your friends to sign up too. Just make sure they list your name and email in the “Who Sent You?” section. When your friends sign up for our email list, you’ll both be entered for a chance to win the tickets. Board members of Indivisible Austin and their families are excluded from the drawing. Yes, Trump Can Start A Nuclear War. Yes, We Can Stop Him. Hey y’all! 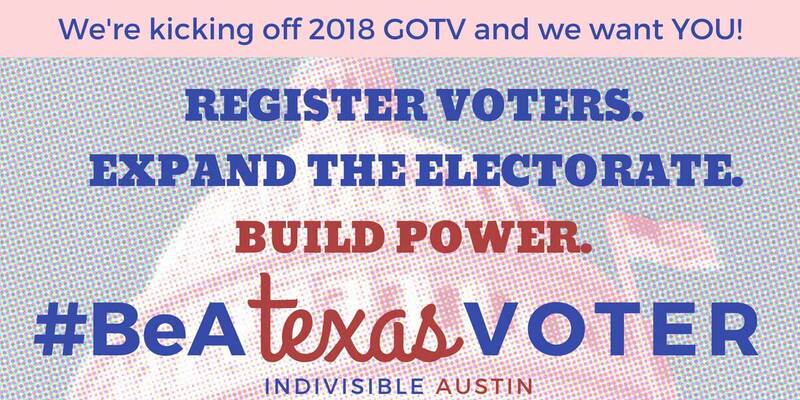 As my first blog post for Indivisible Austin I’d like to introduce myself. My name is Billie Green, I’m a UT Alumni, and I really don’t want Trump to start a nuclear war. I’ve been working directly with Global Zero and William Perry on current nuclear weapons issues. Our primary concern is Trump’s ability to order a unilateral launch against any country at any time, and how his dangerous rhetoric with North Korea is inching us closer to a military confrontation. This incredible piece by nuclear weapons historian Alex Wellerstein dives into the question: “Can the President use nuclear weapons when he wants, and can anyone stop him?” The short answer is No. No one can stop Trump once the order is given. Generals Mattis or Kelly will do all they can to discourage him, but if Trump validates the decision, chain of command will be initiated. It is incredibly important for us to be vocal about this issue. If we can manage to take Trump’s finger off the literal “Apocalypse” button, then maybe we won’t feel like every ridiculous decision his administration makes is the end of the world. We have to get our representatives on board saying they will only support diplomacy, deterrence, and no preventative (nuclear 1st strike) military options. There’s already been indication that the GOP is sincerely concerned about Trump’s instability (e.g. Corker saying Trump could start World War III) but we need them to take tangible action. This is where we, the masses, step in. I’ve recently created Global Zero – Austin TX. The focus of this group will be to educate the public about the relevant dangers of nuclear weapons and what we can do to stop/limit said dangers. Currently, Global Zero has planned a Week of Action for the first week of November, but has encouraged their remote activists across the nation to reach out to their communities and start recruiting members for local chapters. As an immediate action, we can call on Cruz and Cornyn to support legislation introduced by Ted Lieu and Ed Markey, that would constrain Trump’s authority to use nuclear weapons. Trump’s dangerous rhetoric is fanning the flames with North Korea. His words could provoke the unstable Kim Jong Un and further escalate tensions when our top priority should be de-escalation and diplomacy. Will you denounce Trump’s dangerous rhetoric that puts our national security at risk? Will you demand he come to Congress first before engaging in any sort of military operation against North Korea? And remember to sign up for the new Global Zero – Austin, TX Facebook Group. Posted in Call to Action, Foreign Policy, Let's Go!Leave a Comment on Yes, Trump Can Start A Nuclear War. Yes, We Can Stop Him. We know you are tired of beating back health care repeal bills. We are, too. We’ve been doing this for months, and it doesn’t get any easier. The only saving grace is that the the Senate Republicans can only attempt to repeal the ACA through the gimmick called reconciliation until September 30. (And really, it’s September 29, since the Senate won’t be voting on Yom Kippur.) That’s only eight days away! If you’ve called both Sens. Cornyn and Cruz and you’re asking yourself: what more can I do? How can I influence Republicans in red states who may be on the fence? You can sign up to call constituents in the target states and ask them to call THEIR senators! Join us this Sunday, Sept 24 at 8:30 a.m., for a Public Square Town Hall to take a last stand against ACA repeal and Medicaid cuts! Sens. Cruz and Cornyn will be just steps away from our event, speaking at the Texas Tribune Festival! Sign up here to get email and occasional text alerts for urgent actions. BONUS: Submit comments to the Senate Finance Committee by Monday at noon! 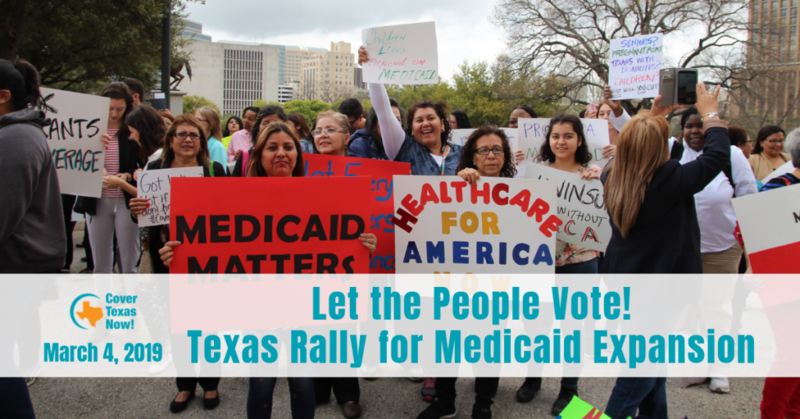 Thank you for supporting Texans who depend on the ACA and Medicaid for their healthcare! The House voted to repeal the Affordable Care Act and replace it with a cruel bill designed to strip healthcare from millions of Americans while giving a tax cut to the rich. So now it’s payback time. We’ll update this page with more detail as events unfold. We will also let his staffers know why the ACA is so important in our lives and what we think about his ‘YES’ vote on the AHCA. This will be a rally outside his office; so please bring big signs that say ‘Why?’, ‘Explain Yourself’, ‘Holding You Accountable’, or anything that is healthcare related. Also, please write a letter that you can read aloud about why the ACA is so important in your life and/or what you think about McCaul’s ‘YES’ vote on the AHCA. Make your letter personal and please include your full address (including your 9-digit zip code). You don’t have to speak if you don’t want to — supporting others willing to speak is just as important. Hopefully a staffer will come out to explain McCaul’s ‘YES’ vote and take notes about our concerns; but if not, we’ll still record the event (for those who wish to be recorded) and hold a peaceful rally. And as always, children and babies are welcome! We’ll meet in the office park parking lot at 3:30 PM promptly. FYI: It’s a corporate office park off 360, so it’s a bit hidden. There is plenty of parking in the building lot and on the street. This will be a “die-in” to represent the harm that the GOP #deathcare bill will have on the public (special shout out to Black Lives Matter for inspiration for this style of protest), and show Mr. Flores what his yes vote will lead to. This is a PEACEFUL protest. See below for a toolkit to help you prepare and know the “do’s and don’t’s” to make this demonstration a huge success! Everyone is free to protest in their own individual way, if that means lying-in, sitting-in or chanting loudly outside, go for it! -We will use no violence (physical or verbal) towards any person. -We will not destroy or damage property. -We will not carry anything that can be construed as a weapon, nor possess (or consume) any alcohol or drugs. -We will all hold each other accountable to respecting these agreements. 11 am Indivisible Austin rally at Sen. John Cornyn’s office to protest the AHCA. Dr. Valerie R. Peterson, who is on the Board of Directors of NARAL Pro Choice Texas. Dr. Peterson also shared her personal abortion story in the New York Times and continues to be engaged with reproductive rights in the Texas Legislature. NOTE – People should lie down in shifts to prevent exhaustion and overheating. Please park along the street near the office building called Mountain Ridge Drive. Share as widely as possible! Looking forward to seeing you there! Did you know that 45% of Congressman Roger Williams voters live in Travis County? Austin constituents from Texas Congressional District 25 are hosting a town hall meeting for Congressman Roger Williams in the King-Seabrook Chapel at Huston-Tillotson University on May 13 from 12:00 p.m. (noon) to 2:00 p.m. Doors open at 11:45 am. We will have a moderator and non-partisan policy experts lined up to answer your most pressing questions if Congressman Williams chooses not to attend. The AHCA passed the House last week and now goes to the Senate for review. Let’s show Senator Cruz exactly how we feel about Trumpcare and the number of lives this bill will impact. Bring your STORIES! Do you (someone you know) rely on the ACA? How will the changes affect your friends/loved ones? Write a letter and bring it with you. Come with PROPS for visual effect – tombstones, RIP signs, etc. This is a die-in format which means we want to be dramatic with our props. WEAR BLACK. The AHCA will impact access to care for millions and lives are at risk. It’s recommended you bring a yoga mat or blanket to put on the ground. For those able, we will lie down to reinforce the dying effect. See you next Tuesday! Dump Trump and Cruz. Hosted by Indivisible Rosedale Huddle. Noon. Die-In at John Cornyn’s Austin office, hosted by Indivisible TX-10. The senate is currently working on a plan to repeal the Affordable Care Act and implement “TrumpCare 2.0.” We must send a strong message to Senator Cornyn that stripping away healthcare from millions of Americans is simply unacceptable. A “die-in” creates a stark visual to remind our representatives that if protections for essential benefits and those with pre-existing conditions are erased, millions of Americans will lose their access to affordable healthcare, and people will die from preventable conditions. We cannot let this disaster of a plan pass. We must show Senator Cornyn what his actions will do. Join us for a die-in and bring a headstone with a message for the senator. NOTE – This is a busy area of town, so people should lay single-file if necessary to avoid blocking the street and sidewalk and to maintain everyone’s safety. There are some metered spots along the street, and there are several parking garages in the area. Please arrive at least 15 minutes early to find parking and walk to the location. 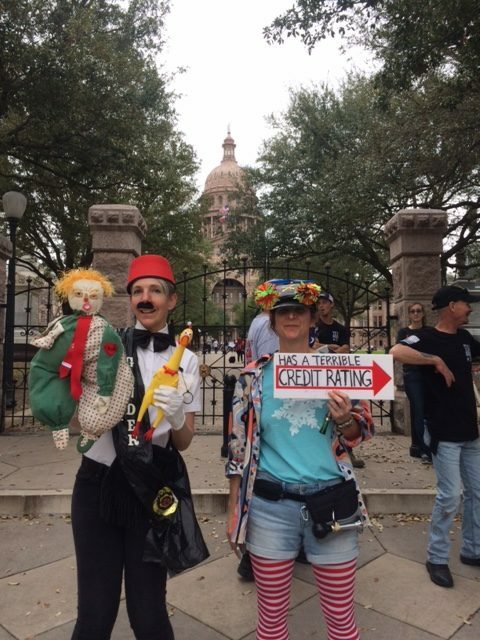 Those lucky enough to be in attendance at yesterday’s citywide rally know that this video, generously donated by Spotzen, and organized by Indivisible TX-25 East, was one of the highlights.